Uptake of fibre broadband services continues to grow in Europe, with the region’s 35 largest economies seeing a 16 per cent increase in fibre-to-the-home/fibre-to-the-building (FTTH/B) subscribers during the first half of this year to reach 5.95mn, according to the latest figures from industry body the FTTH Council Europe. Coverage of FTTH/B networks also increased in the period, rising by exactly the same amount (16 per cent) to reach 32mn homes passed, according to the study, which nevertheless deems this progress as “insufficient” as the EU’s biggest economies (including the UK and Germany) are conspicuous by their absence. For the purposes of its report, the FTTH Council Europe groups together the 27 member countries of the EU together with Andorra, Croatia, Iceland, Israel, Macedonia, Norway, Serbia, Switzerland and Turkey. Outside this group, Russia is believed to offer huge market potential for FTTH/B services, with 5.2mn subscribers signed up by the end of June and 15.8mn homes passed. Ukraine also has over 1mn FTTH/B subscribers – an increase of 85 per cent during the first half of this year. 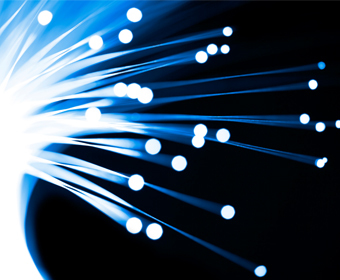 The FTTH Council Europe states that it expects more fibre deployments to be made in CIS countries soon. In its latest leadership board, the composition of the top three remains unaltered: leader Lithuania has reached over 30 per cent penetration, followed by Norway (18 per cent) and Sweden (14.5 per cent). Spain entered the ranking at 20th position (1.42 per cent penetration), following a 44 per cent subscriber increase in first half of 2012. Despite the country’s challenging economic situation, operator announcements (from Telefonica and Orange Spain, amongst others) suggest fibre is still considered a solid investment. FTTH from Telefonica and competition from cable operator Ono have also “clearly enhanced” the Spanish market, says the study. Uniquely for southern Europe, the local government of the northern province of Asturias has adopted a type of open access network usually found in Scandinavia, rolling out FTTH early on, instead of waiting for private investors. Luxembourg (1.46 per cent subscriber penetration) is another new entry, as state-owned P&T Luxembourg appears set to realise ambitious government objectives: 80 per cent of all households are set to be passed with 100 Mbps by end 2013, and 100 per cent at the end of 2015. Other FTTH players will use P&T’s infrastructure on a wholesale basis.